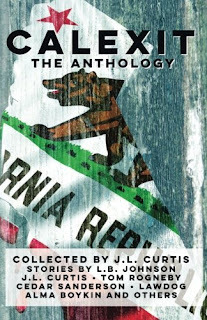 Old NFO was gracious enough to include story I wrote in the anthology. If you read the comments of any of the blogs listed on his sidebar you will notice that he frequently comments and is extraordinarily encouraging to fledgling writers. The premise of the story is to show how Socialism morphs into Totalitarianism and how that might look as seen from a farm far from the halls of power. It is a story of a couple who works with young people ages 16-through-25 who have been indoctrinated by the system and how that couple introduces them to traditional values. It is also a story of how the system tries to grind that couple down. In the interest of full disclosure, it is necessary to share that "zombies" make a cameo appearance near the end of the story. You will have to tell me if you found them believable in the comments. I chose the town of East Orosi based on geography even though I have never had the privilege of visiting it. Visiting East Orosi is now on my bucket list. I hope the town does not resent the attention and any liberties I took with the town. I stole the idea of the zombies from Barbara Demick's book Nothing to Envy. She wrote about "zombies" in North Korea during one of their recurring famines. Thanks for reading and thanks for commenting! It was a truly good read. I think I'd go "zombie" if I ran out of coffee. And Suz - thanks for the support! Thanks for the compliment. I consider you a sophisticated producer and consumer of stories. Yeah, and I know what you mean about coffee. that type of behavior could very conceivably happen. Write more! !